(a) While discussing the doctrine of the incarnation I referred to the Logos doctrine as presented by Philo, the Jew. Now, among the attributes and functions of the Philonian Logos, one was that of mediator between God and man. The Neo-Platonist conception of God made HIm unknowable, inaccessible and unapproachable by men; only through a mediator could. He be known by them. For Philo, this mediator was the Logos and his conception exercised enormous influence over Christian theology from the date of the fourth gospel onwards. (b) During this period, ancient myths about Osiris, Horus, Attis and so many other dying gods were widely diffused amongst the civilized people and in particular the myths of the mystery religions which had already obtained a considerable hold over the civilized world of the time, one at least of which, the religion known as Mithraism, proved a formidable rival to Christianity in its struggle for ascendancy in the Roman empire. When Christianity was transplanted from Jewish to pagan soil, it can be safely asserted without fear of contradiction, that the Christian doctrine of atonement was greatly coloured by the influence of the mystery religions, especially Mithraism, which had its own son of God and virgin Mother, and crucifixion and resurrection after expiating for the sins of mankind and finally his ascension to the 7th heaven. 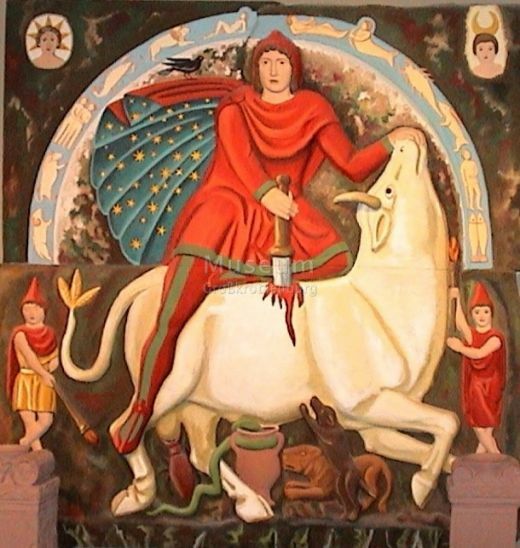 If you study the teaching of Mithraism side by side with that of Christianity, you will sure to be amazed at the close affinity which is visible between them, so much so that many critics are constrained to conclude that CHristianity is the facsimile or the second edition of Mithraism. 1) Mithra is the Son of God. – 1) Jesus is the Son of God. 2) MIthra is the Saviour – 2) Jesus is the Saviour. 3) Mithra was born of a virgin – 3) Jesus was born of a virgin. 4) Mithra was tempted. – 4) Jesus was tempted. 5) Mithra has 12 disciples. – 5) Jesus had 12 too. 6) Mithra was crucified. – 6) Jesus was crucified. 7) Mithra rose from his grave the third day. – 7) Jesus rose from his grave the third day. 8) Mithra atoned for the sins of mankind. – 8) Jesus atoned for the sins of mankind. 9) Mithra returned to his Father in heaven. – 9) Jesus returned to his Father in heaven. I dont know in what way will my Christian friends persuade a follower of Mithraism to accept Christianity. Before dealing with St. Paul’s theory let us first ascertain what he thought of Jesus. (1) He thought of Jesus as the Messiah, a heavenly being, the son of God, who existed with the Father before his manifestation on earth. (4) This subordination implies that St.Paul could not attribute to Christ such an identity with God as the later doctrine of the Trinity postulated. A Trinity we can discover in his writings, but not an “undivided Trinity”. The reason for this difference between St. Paul’s and later church father ‘views is not far to seek. He lived before the Nicene Creed, and naturally knew nothing about the doctrines of the person of Christ formulated by Church later on. However, there is no doubt that it was St. Paul who introduced the idea of the vicarious sacrifice offered by Christ to pacify the wrath of God and redeem mankind from the clutches of sin. The teachings of St. Paul are only opposed to those of Jesus, but also to those of the apostles. In the Petrine Epistles, for instance, although the doctrine of faith is much insisted upon, but it is faith in God and not in the vicarious sacrifice of Jesus Christ. In the Epistle of St. James, the Pauline doctrine of justification by faith is not merely ignored but explicitly contradicted. Nowhere in this epistle is there the smallest indication of any special efficacy in the death of Christ. A close study of this epistle reveals the fact that no New Testament writing is more full of the spirit of Christ and his teachings. Even a cursory perusal of these verses is sufficient to convince the unbiased mind that St. James’ teaching is in perfect accord with that of his Master (viz. 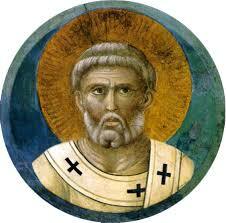 Salvation depends upon faith in God and good works) and poles apart from that of St. Paul. There is not a word in St. John’s gospel which necessarily implies a substitutionary sacrifice or indeed any literal sacrifice at all: nothing that implies that Christ died for man in any sense other that which a supreme benefactor of humanity might be said to die for men. Here Jesus does not say that I will pay the penalty of the sins of the man who loves me. Dear readers please note that the absence in this significant prayer by Jesus of the vaguest referenc to any vicarious sacrifice, which, according to the teachings of St. Paul and the conventional theology formulated by the Church, the “Saviour” was just about to offer by his death and which he alone could offer, is as eloquent as any positive repudiation could be. Jesus is reported by John to have laid so much emphasis upon keeping the commandments on the part of his followers, that we are quite justified including that spiritual union with and imitation of him is the one condition of salvation. “Keep my commandments,” Jesus exhorts his followers, “If ye love me”. He does not say ‘keep faith in my vicarious sacrifice for your sins’ or something of that sort. According to this verse the love of the father is dependent and consequent upon the belief, not in the vicarious sacrifice of Jesus, but in the truth on his mission. Moreover with such a conception of God, there could be no room for the doctrine that the Father could not forgive the sinners, unless He were propitiated or placated by the death and suffering of his “innocent son“. This is incontrovertibly proved that Jesus did not teach the doctrine of the vicarious sacrifice; on the other hand, it was St. Paul who sowed the seed of this permicious doctrine, quite contrary to the explicit teachings of his master. Later on, this seed was watered and nourished by Iraeneus, Tertullian, Eusebius of Caesaria , Augustine and Luther with the result that the original teaching of Jesus was subverted, corrupted and finally lost sight of altogether. Through the arbitrary teachings of Tertullian Christianity had come to mean something very different from anything taught by Jesus. Eusebius (26-339 A.C.) of Caesaria was the first Greek writer of note who strongly emphasised the idea of substitutionary punishment. Finally, the theory which blackened the character of the God preached by Jesus, reached its culmination in the writings of St. Augustine, whose theology centered round the idea of redemption through the blood of Christ. He even went to the length of asserting: “If there had been no Fall, Christ would never have come”. From his words it is quite evident that he drew his inspiration, not from the teachings of Jesus, but entirely from those of St. Paul. He asserts without any compunction that all human beings who lived before the coming of Christ are doomed to eternal perdition and everlasting torments in hell. Blind fanaticism, I think, could go no further! Finally Luther completed the task undertaken by St. Augustine. “His theology represents the exaggerated version of St. Augustine”. He declares that Christ was the greatest of all sinners “because he assumed in His body the sins we had committed, to make satisfaction from them by His own blood”. The traditional doctrine of atonement is absolutely inconsistent with the teachings of the founder of Chritianity. This doctrine was certainly not a part of Christ’s teaching: it originated in the necessity for explaining the scandal of a crucified Messiah. When the Jews began to revile the Christians in regard to the accursed death of Christ upon the Cross, they had no answer to give and no defence to make except that Christ did die upon the Cross, not because he was accursed, but because he voluntarily offered his life to pay the penalty of our sins.